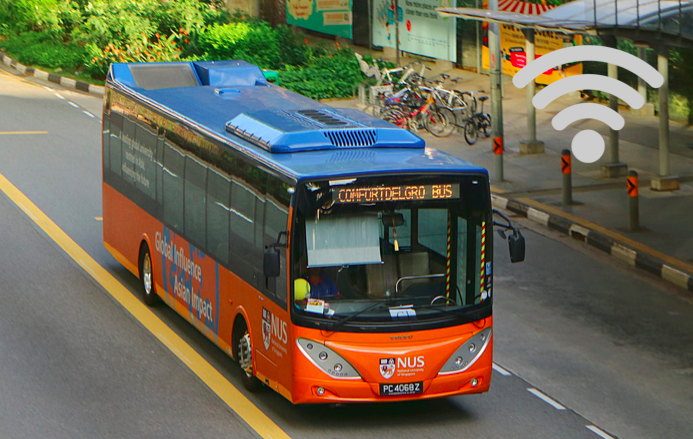 NUS Campus Shuttle Buses Now Comes With FREE WIFI For Students And Staff! 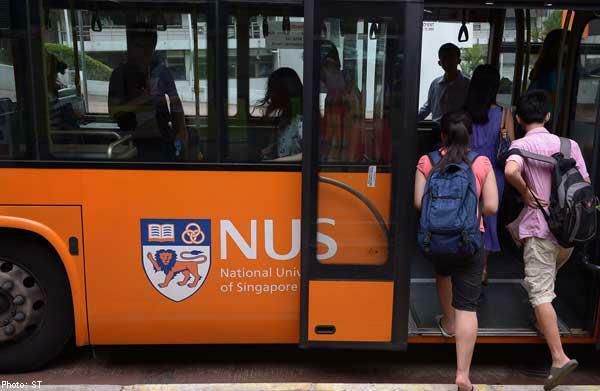 According to a press release, NUS and StarHub have just launched a new pilot programme which offers the university’s staff and students free Wifi when travelling in the campus shuttle busses. This programme will be the distribution of Singapore’s first mesh network of connected vehicles pilot in NUS. On top of that too, NUS and StarHub will be collaborating with ComfortDelGro and Veniam – a company that creates Wifi hotspots for vehicles – for the purpose of this project. So here’s what we know – the pilot shuttle bus free WiFi programme does not rely on conventional methods to access wifi on transport systems. Unlike traditional wireless network infrastructure, the mesh platform turns vehicles into mobile Wi-Fi access points that connects to one another and to fixed points in buildings throughout the university’s campus. The new project will also be catering to 17 faculties, three campuses and over 38,000 students in terms of WiFi coverage. The approach is said to help extend total Wi-Fi network coverage and facilitate the infinite number of devices that are to be connected without interruption. The wireless mesh access points are powered by a combination of Dedicated Short Range Communications (DSRC) connected vehicle technology, 4G and Wi-Fi, providing seamless handovers and continuous connectivity according to the press release. Head of StarHub i3 (Innovation, Investment, Incubation) Stephen Lee reveals that the mesh platform will allow StarHub to explore how they can use data generated to help companies in logistics and transport improve their productivity. “We look forward to working with more commercial partners to expand the network to other parts of Singapore and find new ways to analyse and utilise the data collected in order to address various urban concerns and challenges facing the transportation and logistics industry,” he says. Professor Lawrence Wong, Deputy Director of IDMI who is leading the NUS Living Lab initiative, also explains that there has been an increasing interest in wireless mesh technology with the government’s strive towards building a Smart Nation. “The deployment of wireless mesh vehicular technology will allow NUS to conduct research into areas such as wireless mesh network enhancements, commuting and mobility trends, and other technologies that will drive us towards becoming a Smart Nation,” he says. 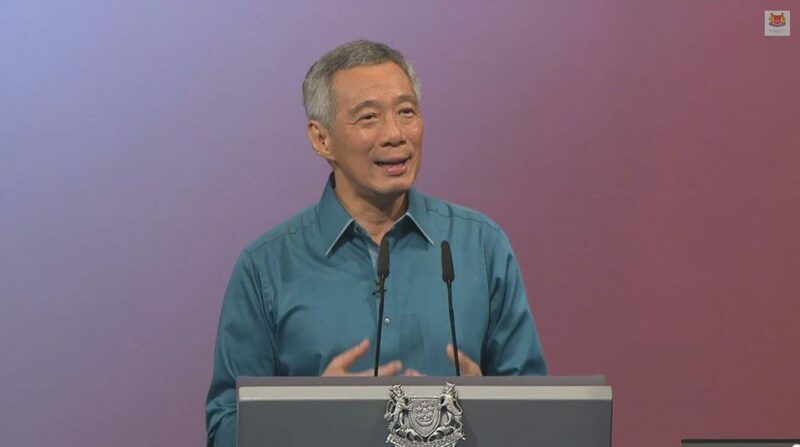 The idea of creating Singapore to be a Smart Nation was made known by Prime Minister Lee Hsien Loong in his National Day Speech Rally in 2014. Through this project, many can access free wifi in the shuttle busses, not just staff and students. Friends and family visiting – especially for international students – also get to tap into the network during their short trip. With Wireless Sg starting to offer free wifi in busses as well as train stations, it is no surprise that university’s shuttle busses are the next stop. If this pilot programme receives good reviews, you never know we just might be getting free wifi in many of our public busses as well! 8 Years And US$14.5 Million Later, S’pore Roti Making Machine Rotimatic Is FINALLY Here.